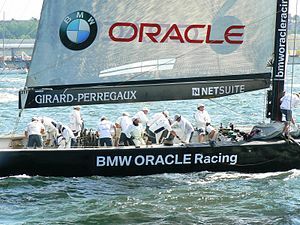 Oracle Corporation (ORCL): the business software and hardware global giant is sliding over 2% to $29.48(3:19 PM EDT) after it beat the streets quarterly earnings expectations after the closing bell on March 20, 2012 (Q3 results ending Feb 29th). In morning trade, Orcl stock popped to an intraday high of $31.15 a share and then reversed course to the downside breaking the important technical of $30 a share. Nearly 80,000,000 shares have traded hands on this tech giant before 3:26 PM EDT on a day of huge volume, in which investors/analysts have a mixed sentiment on the financial results of the company. 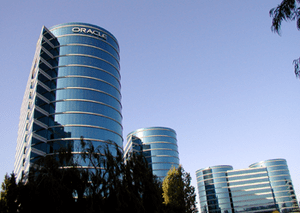 Oracle beat analyst expectations by a slight percentage, coming in with $9.04 Billion in revenue for the quarter. The street had Oracle coming in with an estimated $9.02 Billion, which is only a small beat and may partially explain why the shares are sliding after a quick knee jerk pop to the upside this morning. Despite the slide in Oracle shares today, I am still a raging bull when it comes to investing in this global technology giant. Larry Ellison is one of the smartest and richest Tech moguls on planet earth and I am very confident in the long term picture of continued profitability and share appreciation of this Bay Area Tech giant. I am maintaining my $37 price target for Orcl shares over the next 11 months and would be a buyer of the shares on this pullback. I think this is short term storm for and pullback in Orcl shares and presents a great long term buying opportunity for new investors and those looking to accumulate more shares for their core positions. A great entry point in the stock will be at a share price of $27.50 or less. Now, what is the Option play?! I like the longer term Call options and selling the near term Put options on Oracle. Trade#1: I would consider selling the Oracle(ORCL) $29 strike Put Option for $0.90 cents a contract with an April 20, 2012 expiration date. Attached is Oracle Options Chains with an April 20, 2012 expiration date courtesy of YahooFinance: http://finance.yahoo.com/q/op?s=ORCL&m=2012-04. If I sell 20 Orcl Put Options for $0.90 cents each, I will credit $1,800 into my brokerage account ($0.90 cents x 100 shares per contract=$90 and $90 x 20 contracts =$1,800). Remember, by selling the Put options, we are taking the big risk of potentially being exercised on the shares of Oracle at $29, if shares of Orcl stock are trading below $29 on the expiration date of these contracts. Therefore, we need to have $58,000 in cash in our brokerage account as cash collateral in the event that we get exercised on the 20 Put option contracts that we are considering selling. 20 contractsx$2,900($29 x 100 shares per contract)=$58,000. This is definitely not a trade for beginners, especially if you do not have the cash reserves to initiate the trade. However, I am a fan of this trade and a big long term bull on Oracle. In a worst case scenario, I am comfortable going long 2,000 shares of Oracle at $29 a share if I get exercised. By selling the Put options, I am in a sense financing $1,800 towards the potential eventual purchase of 2,000 shares of Oracle at $29 per share. By selling the Put Options, I am actually getting long the stock at $28.10 (net cost of $58,000-$1,800 credit=$56,200)because of the $1,800 that was initially credited to my brokerage account at the opening of this derivatives transaction. Trade #2: I would consider buying the Oracle(Orcl) $29 strike Call Options with a Sept 21, 2012 expiration date for $1.25 a contract. Attached is the Orcl Options Chains with a Sept 21, 2012 expiration date courtesy of Yahoo Finance: http://finance.yahoo.com/q/op?s=ORCL&m=2012-09. I can buy 20 contracts for $2,500($125 per contract of 100 shares x20 contracts= $2,500 to open this trade) and that will give me long exposure on 2,000 shares of Orcl stock at $29 a share for the next several months. If the stock trades to $35 by the September expiration date, my initial $2,500 investment will be worth over $12,000. 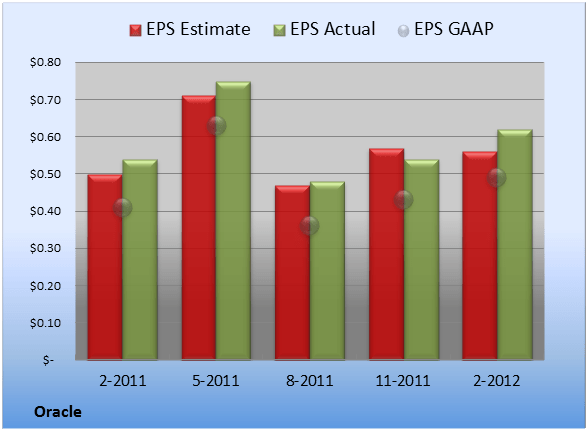 That would be beautiful return on our capital and I think that Tech stocks continue to lead this market rally higher in 2012!!! Lets go Orcl Bulls!! Remember, we need Orcl stock to decline another 5 or 6% in order for us to get an opportunity to buy these September 2012 Call Options for $1.25 a contract. Options take alot of patience and discipline to be successful in making money. Please remember to consult your investment advisor before buying or selling any equity securities/stock options. Good luck and stay tuned for more big action at http://www.Optionshoney.com. Oracle (Orcl) is one of the most powerful software companies on the planet and we all know the man behind the helm who has been most influential in taking this business software powerhouse to where it is today…Yes, that remarkable man is billionaire Larry Ellison (Co-Founder and Ceo of Oracle) and a business legend (In 2011, Forbes ranked Ellison as the 5th richest man in the world) that I admire for his brilliance, innovation, and competitive nature. Ellison has built one of the most successful Technology companies in the world and he has a continual hunger to get larger, more powerful, and more profitable all the time. Oracle’s Ellison has spent over $40 billion in the last decade acquiring and gobbling up both competitors and smaller companies to add to the stellar suite of Oracle companies and software products. Currently, Ellison is attempting a hostile takeover of Peoplesoft and is always mining for additional acquisition targets that he sees fit for Oracle’s continued growth and gaining a competitive advantage in the marketplace. One of Ellison’s favorite quotes was by Genghis Khan: “It is not sufficient that I suceed – all others must fail.” That is clearly a quote that Ellison has lived his life by and this business mogul continues to divide and conquer to achieve his personal goals and business goals for Oracle shareholders. 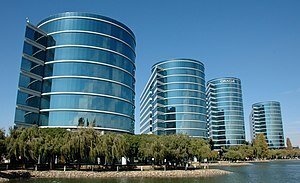 Personally, I have been monitoring Oracle’s stock for over 3 years and think there is definitely great upside potential in the stock and equity options for Oracle investors. Options Trade#1: I like selling the Orcl Mar 16 2012 25 Put Options for .75 cents. Keep in mind that the ask right now on these contracts is .51(the ask is what a seller is willing to sell them for currently) and a bid of .49, so we need the stock to decline 4-5% in order to get the Put options to a level at which I am looking to sell them to collect the options premium. As I will continue to educate on Optionshoney.com, selling or buying Options at the current Market price is often not a good idea and we need to be patient for the best time to make our trade. If the Put Options increase to .75 cents and I were to hypothetically sell 20 contracts, I would receive a credit of $1,500 to my brokerage account. I love Oracle shares for the long term and I am comfortable getting long the stock at 25, if I get exercised on the shares. I will get exercised only if Oracle shares are trading below $25 at Mar 16, 2012 expiration. If I wanted to place this trade, I would first need $50,000 in cash in my account as collateral in case I get exercised($25 share price x100 shares per options contract=$2,500, so if I get exercised on 20 contracts, that equals 20 x $2,500=$50,000). I like this trade, because I think the recent big sell off in Oracle shares was overdone to the downside as a result of a weaker Dec 2011 quarterly report than Analysts had forecasted. I believe Orcl shares will trend higher or sideways over the next few months and anticipate a stock price close higher than $25 by the March expiration of the contracts. If I get exercised on the shares, selling the 20 Put contracts will reduce my gross purchase cost of 2,000 Orcl shares at $25 per share from $50,000 to $48,500($50,000-$1,500 premium collected for selling the 25 strike Put Options). If Orcl shares trade to 40 in the next 18 months and I get exercised on the Orcl puts I might sell, this trade hypothetically costing me $48,500 will be worth $80,000 at 40 a share. 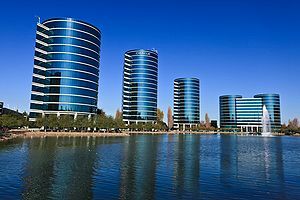 I would be very happy with those potential returns and believe Oracle is well positioned in the global Technology arena to continue its growth and profitability. Of course, Options are very risky and I do not have a crystal ball as to the future of the markets or any outcome of my hypothetical Options trades, so please make sure to consult your financial advisor before buying/selling any options or making any stock investments. The Optionshoney.com disclaimer.